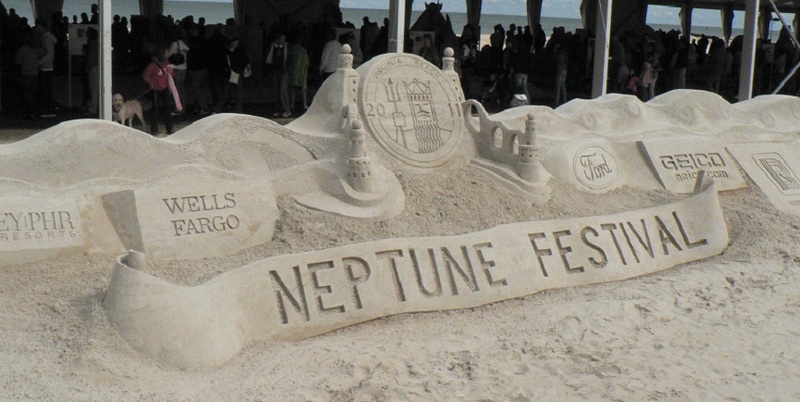 The Virginia Beach Neptune Festival is a private, non-profit 501-C3 organization, producing over 40 events per year. The Festival has an annual operating budget of $2.1 million, which is derived through corporate sponsorships, admission tickets, merchandise sales, and site revenues. The high quantity and wide range of sponsors and non-profit partnerships contribute to the charitable, educational, cultural, recreational, and economic development of the Hampton Roads region. Events annually generate approximately $18 million in economic impact, approximately $700,000 of direct municipal taxes, and shares over $100,000 with partnering charitable organizations such as EQUI-KIDS, Virginia Beach Rotary, Virginia Beach Jaycees, and Navy-Marine Corps Relief Society among others. The Festival has vast geographic coverage and is well respected in the special events industry, as demonstrated by the consistent recognition of its flagship event, the Virginia Beach Neptune Festival Boardwalk Weekend, as one of the Top 100 Events in North America by the ABA and among the Top 20 Events in the Southeastern US by the Southeast Tourism Society. The Neptune Festival’s most popular event – Neptune Festival Boardwalk Weekend – begins on the last Friday of September and is the largest annual special event in the Commonwealth of Virginia. The Neptune Festival is truly a community enterprise. A volunteer Board of Directors, consisting of 30 community leaders, oversees all activities, none of which would be possible without the help of its 1,200+ volunteers. Attracts more than 400,000 people each year to Boardwalk Weekend.Generates an economic impact of over $20 MILLION to the City of Virginia Beach.Returns direct taxes of over $800,000 to the City of Virginia Beach.Draws 65% of its visitors from the Hampton Roads areaONE OF EVERY THREE Virginia Beach residents attends Neptune Festival events.Draws 35% of its visitors from outside the area, 80% of whom stay in area hotels and account for 60% of the economic impact of the Festival.EVERY HOTEL ROOM in the Virginia Beach resort area is booked during the Neptune Festival with over 93% of these being repeat visitors.Festival monies are derived from sponsorships, ticket sales, concessions, beverage tents, T-shirt, poster and general merchandise sales. The Festival also makes available various opportunities for other non-profit organizations to earn monies for their own charitable endeavors. These amount to over $100,000 of net revenue each year. Has evolved into one of the Country’s TOP 100 Festivals and TOP 10 on the East Coast. It has become a major visitor draw, filling the hotels at the Oceanfront and bringing thousands of local visitors to the Boardwalk. Heralded as the city’s largest and oldest event of its kind, it’s also one of the largest events in the Commonwealth of Virginia.Has a professional staff, but is truly a function of the community, with over 1,000 active volunteers and almost 30 separate event activity chairmen.There are 40+ EVENTS, which range from sporting activities such as golf, volleyball, tennis, 8K run and surfing competition to the art and craft show, which alone attracts almost 300 exhibitors. The Boardwalk Weekend also includes the ever-popular International Sandsculpting Championship, the Grand Parade, and three stages of entertainment. Pre-Festival events encompass the Wine Festival, Senior Citizens activities, End of Summer Bay Bash, among others. KING NEPTUNE is chosen by committee from nominations solicited from the general public. Criteria include many factors, including demonstrated involvement and contribution to the quality of life in Virginia Beach, active participation in the activities of community life, and an understanding of the spirit of the Neptune Festival. Many public relations activities take place throughout the year as the King becomes a good will ambassador for the city.TRITONS are men of the community selected by nomination who meet the same criteria applied to the selection of the King.PRINCESSES are chosen by open competition from the city’s high schools. They are selected in January of their junior year of high school. Applications are available through their high schools and the Neptune office beginning November of their junior year of high school.